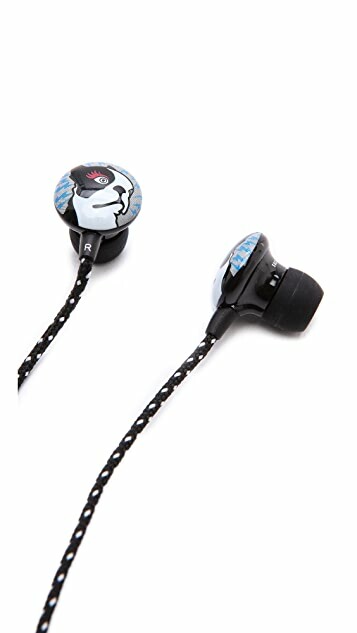 Marc by Marc Jacobs headphones with boston terrier detailing. The universal plug is compatible with iPhone, iPod, and MP3 devices, as well as any music player with a 3.5mm jack. 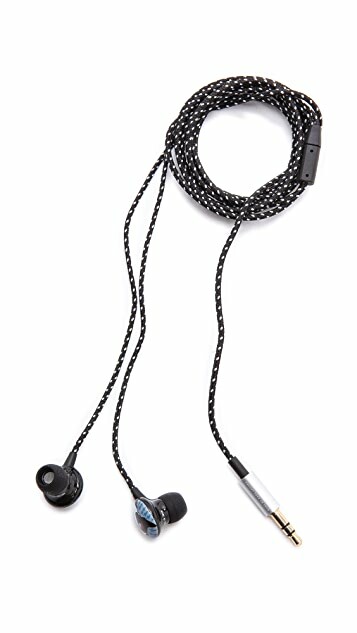 Extra earbud tips included.